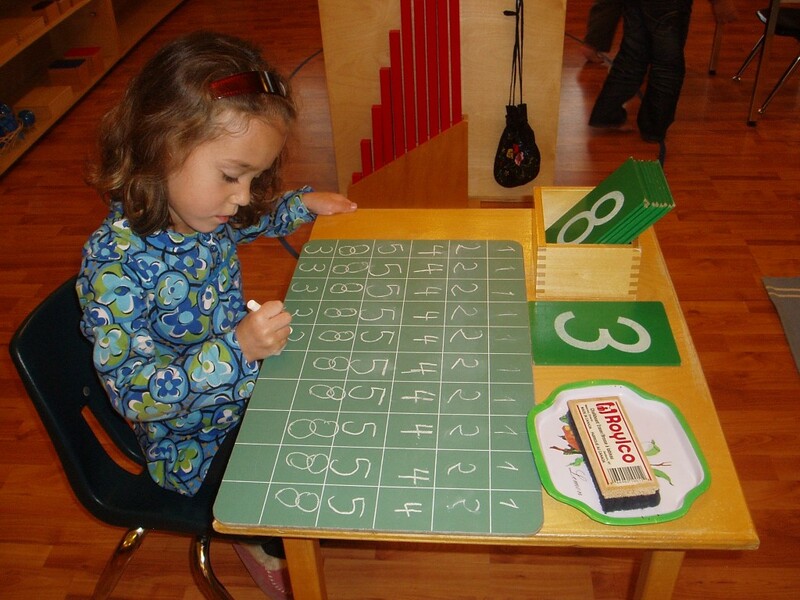 It is often common for a young child to be able to mechanically count through numbers but when faced with the dilemma of understanding the concept of these numbers, the child is stumped. 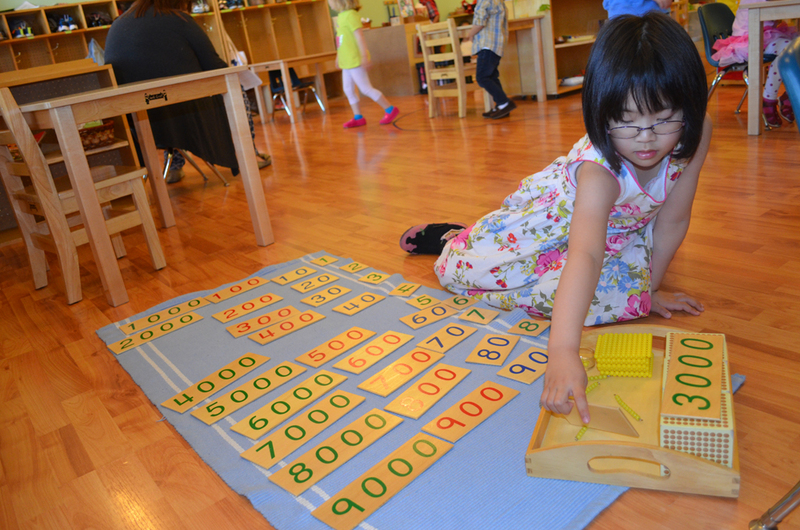 In Montessori, the child uses mathematic materials that are very concrete, so the child will have a true understanding of numbers. 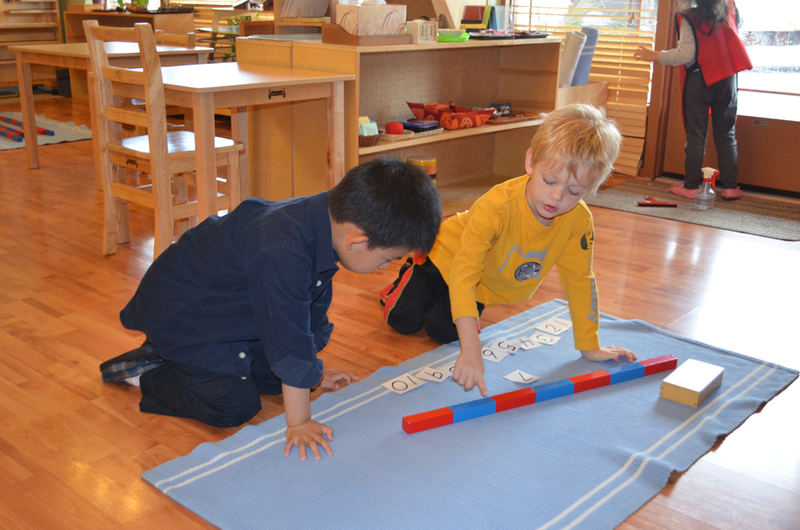 We start off by counting the number rods so the child will have a concrete understanding of the numbers up to ten. The sandpaper numbers are presented after this to associate the symbol and the quantity. After the child has a solid understanding of the numbers one through ten, the child continues counting with the colourful beads up to 1000. The child is also introduced to the decimal system of unit, ten, hundred, and thousand. With the decimal system, the child will be performing four digit addition, subtraction, multiplication, and division. As this is all done with concrete material, the child finds great joy in this area and comes away with a concrete foundation in mathematics.